Though Frederick is a small town, there is plenty of opportunity for tourism and sight-seeing. The chamber has worked with local businesses to create a collection of sample itineraries for those interested in visiting the Frederick area. Some of the activities on the itineraries are available to the public every day of the week and can therefore be visited when the visitor likes. However, many of the attractions and activities only open on certain days of the week or when a tour group is expected. For a high-quality, all-around tour please contact the chamber office and let us assist you with your planning. We would be happy to arrange a sample itinerary for your group and personally show you around our wonderful town. Also, be sure and check out our list of annual attractions. These itineraries fit nicely with one of our big events. Click here for more information on Chamber Tour Group Package. 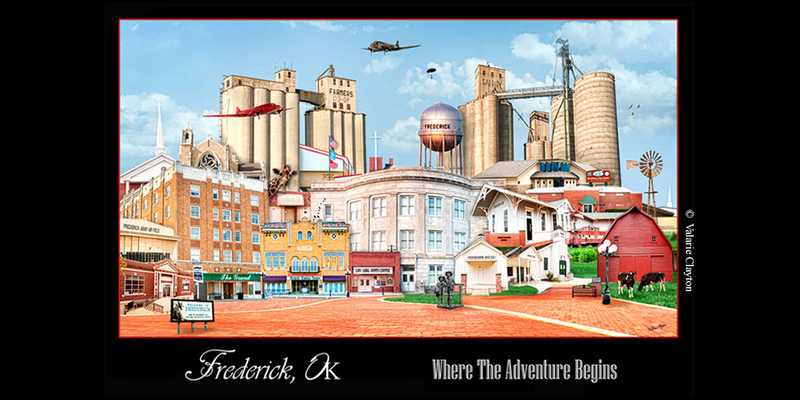 Frederick "Where the Adventure Begins"